We are an approved Bailey caravan dealership, call Swindon 01793 772096, Oxford 01844 339566 or Reading 01189 888111 for a great price and to answer any questions you might have on our 2019 range of Bailey Caravans. Our 2019 demonstrator sale is now on across our 3 branches! Save up to £3,519 across the 2019 range, prices start from £15,695. Offers end Monday 6th May. Our prices won’t be beaten, click to view more information. As well as the Unicorn, Phoenix & Pegasus Grande, we are delighted to welcome our Bailey Ridgeway dealer special into our product portfolio for the 2019 season. Final 3 remaining 2018 Bailey models with savings of up to £4,569! Hurry and grab yourself a bargain. 1 in 3 caravans sold in the UK is a Bailey, making Bailey the most popular brand of caravan in the UK. 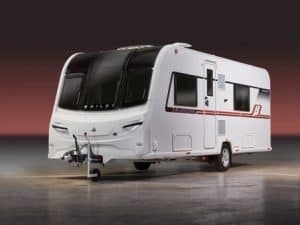 The range for 2019 has undergone a major revamp with the introduction of the Phoenix and 8ft wide Pegasus Grande whilst brand new for the 2019 season is our very own dealer special the Bailey Ridgeway. New looks, new features, new fabrics and interiors, the new range of Bailey caravans really does offer something for everyone. All Bailey caravans are manufactured in a state of the art production facility in Bristol and are built using the acclaimed Alu Tech construction system. An Alu-Tech bodyshell provides increased strength and durability, enhanced thermal insulation as well as providing a lighter bodyshell. The majority of the range sits below an MTPLM of less than 1500kg which makes a Bailey caravan more accessible to a wide range of tow cars. Give us a call today for our best price on a new Bailey caravan. Come and view the new 2019 Bailey caravan range across each of our 3 branches in Swindon, Oxford and Reading. You’ll receive honest and expert advice, not to mention an extremely competitive price so you choose the right caravan to suit your requirements and budget. 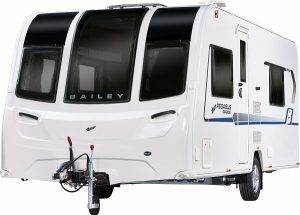 The Bailey Unicorn IV was redesigned for 2018 and remains the flagship caravan within the Bailey range. Such has been the popularity that no changes were deemed necessary for 2019 and the range remains one of the most luxurious and well equipped caravans on the market. The ultimate four season tourer, the Unicorn IV has a choice of ten different layouts suitable for both couples and families. Entering the market with a bang for 2019, the new Pegasus Grande is another feather in the cap for Bailey. Launched at the NEC Caravan Show in October 2018, this range is available in 6 different layouts, is suitable for both touring and seasonal use and is 8ft wide which provides up to 25% additional interior space. 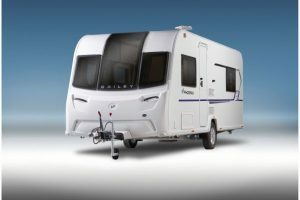 The Bailey Phoenix is brand new to the Bailey portfolio for 2019. Far from being an entry level caravan, the Phoenix range is well designed, well equipped with a high standard of specification whilst still offering outstanding value for money. With 7 best selling layouts and light towing weights, the Phoenix offers an opportunity to explore the great outdoors and begin your caravanning adventures.